It also seems to have been involved in the 9/11 jihad attacks themselves. The 28-page section of the 9/11 report detailing Saudi involvement in the September 11, 2001 jihad attacks has finally been released (albeit with substantial portions still redacted), and it is now clear why one President who held hands with the Saudi King and another who bowed to him worked so hard all these years to keep these pages secret: they confirm that the 9/11 jihad murderers received significant help from people at the highest levels of the Saudi government. Then there was Shaykh al-Thumairy, â€œan accredited diplomat at the Saudi consulate in Los Angeles and one of the â€˜imamsâ€™ at the King Fahad mosque in Culver City, California,â€� who also â€œmay have been in contactâ€� with al-Mindhar and al-Hamzi. Saleh al-Hussayen, â€œreportedly a Saudi Interior Ministry official, stayed at the same hotel in Herndon, Virginia where al-Hazmi was staying. While al-Hussayen claimed after September 11 not to know the hijackers, FBI agents believed he was being deceptive. He was able to depart the United States despite FBI efforts to locate and re-interview him.â€� Who got him out of the country? The report also mentions a CIA memorandum that â€œdiscusses alleged financial connections between the September 11 hijackers, Saudi Government officials, and members of the Saudi Royal Family. This memorandum was passed on to an FBI investigator; yet â€œdespite the clear national implications of the CIA memorandum, the FBI agent included the memorandum in an individual case file and did not forward it to FBI Headquarters.â€� Why? There is still more, and with this much smoke, there is almost certainly fire: the Saudi connection to 9/11 goes to the highest levels of the Saudi government. â€œAfter they boarded the plane in Phoenix, they began asking the flight attendants technical questions about the flight that the flight attendants found suspicious,â€� according to a summary of the FBI case files. But after the FBI discovered that a suspect in a counterterrorism investigation in Phoenix was driving Shalawiâ€™s car, the bureau opened a counterterrorism case on Shalawi. Then, in November 2000, the FBI received reporting that Shalawi trained at terrorist camps in Afghanistan and had received explosives training to perform attacks on American targets. The bureau also suspected Qudhaeein was a Saudi intelligence agent, based on his frequent contact with Saudi officials. The FBI also confirmed that Qudhaeeinâ€™s and Shalawiâ€™s airline tickets for the pre-9/11 dry run were paid for by the Saudi Embassy. Fresh evidence submitted in a major 9/11 lawsuit moving forward against the Saudi Arabian government reveals its embassy in Washington may have funded a â€œdry runâ€� for the hijackings carried out by two Saudi employees, further reinforcing the claim that employees and agents of the kingdom directed and aided the 9/11 hijackers and plotters. Two years before the airliner attacks, the Saudi Embassy paid for two Saudi nationals, living undercover in the US as students, to fly from Phoenix to Washington â€œin a dry run for the 9/11 attacks,â€� alleges the amended complaint filed on behalf of the families of some 1,400 victims who died in the terrorist attacks 16 years ago. The court filing provides new details that paint â€œa pattern of both financial and operational supportâ€� for the 9/11 conspiracy from official Saudi sources, lawyers for the plaintiffs say. In fact, the Saudi government may have been involved in underwriting the attacks from the earliest stages â€” including testing cockpit security. President Trump and first lady Melania Trump Monday led a moment of silence from the White House on the 16th anniversary of the September 11 attacks. Is there currently a MSM news blackout? Here @ 2:45pm EDT, I have neither, FOX or CNN news coverage. FOX live stream works. But they're covering Irma ATM. Rather than "anniversary" being used, it would seem better to use "commemoration" or some other term that would represent reverent observance, or acknowledgement, not celebration. The day of the 911 WTC tragedy Trump spoke with channel 9 television in New York and made the obvious connections to controlled detonations in the buildings. Proving that he has been awake all along. This was aired then immediately banned and removed from the Fox archives right after 9-11, a lot have people still have never seen it and is a must for the first step in the process. I am not a truther. (And as Gore Vidal noted famously) nor am I a conspiracy theorist; Iâ€™m a conspiracy analyst. The official story of 9/11 is folklorish and mythological. Itâ€™s beyond unbelievable and is, like Napoleonâ€™s definition of history, a set of lies that people have agreed upon. If youâ€™ve never spent any time deconstructing the amazing rewriting of the physical evidence, eyewitness testimony, the laws of gravity, physics, structural engineering, architectural science, piloting, aerodynamics, evidence, common sense â€” well, youâ€™ve missed one of lifeâ€™s rare events. It?s easier to bury uncomfortable facts than to confront them. So this September 11, the ceremonies marking the 2001 attacks on New York and Washington, D.C., will simply honor the dead. In Manhattan, tourists and mourners will gather where the World Trade Center Towers once stood, lowering their heads in memory of the 2,606 who perished there. The services won't reflect the view that the attacks might well have been prevented. ?It?s horrible. We still don?t know what happened,? said Ali Soufan, one of the lead FBI counterterrorism agents whom the CIA kept in the dark about the movements of the future Al-Qaeda hijackers. To Soufan and many other former national security officials, the unanswered questions about the events leading up to the September 11, 2001, attacks dwarf those about the assassination of John F. Kennedy, because ?9/11 changed the whole world.? It not only led to the invasions of Afghanistan and Iraq, the fracturing of the Middle East and the global growth of Islamic militantism but also pushed the U.S. closer to being a virtual homeland-security police state. ?I am sad and depressed about it,? said Mark Rossini, one of two FBI agents assigned to the CIA?s Osama bin Laden unit, who says agency managers mysteriously blocked them from informing their headquarters about future Al-Qaeda plotters present in the United States in 2000 and again in the summer of 2001. ?It is patently evident the attacks did not need to happen and there has been no justice,? he said. The authors of a new book on 9/11 hope to refocus public attention on the cover-up. Thoroughly mining the multiple official investigations into the event, John Duffy and Ray Nowosielski find huge holes and contradictions in the official story that 9/11 was merely ?a failure to connect the dots.? 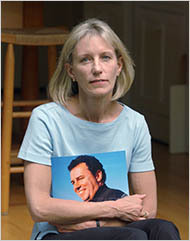 Duffy, a left-leaning writer and environmental activist, and Nowosielski, a documentary filmmaker, have nowhere near the prominence of other journalists who have poked holes in the official story, in particular Lawrence Wright, author of The Looming Tower: Al-Qaeda and the Road to 9/11, the Pulitzer Prize?winning book that was turned into a gripping multi-part docudrama on Hulu earlier this year. But Duffy and Nowosielski come to the story with a noteworthy credential: In 2009 they scored an astounding video interview with Richard Clarke, a White House counterterrorism adviser during the Bill Clinton and George W. Bush administrations. In it, Clarke raged that top CIA officials, including director George Tenet, had withheld crucial information from him about Al-Qaeda?s plotting and movements, including the arrival in the U.S. of future hijackers Khalid al-Mihdhar and Nawaf al-Hazmi. In The Watchdogs Didn?t Bark: The CIA, NSA, and the Crimes of the War on Terror, the authors assemble a compelling case of a government-wide cover-up of Saudi complicity in the affair. In 2002, Tenet swore to Congress that he wasn?t aware of the imminent threat because it came in a cable that wasn?t marked urgent?and ?no one read it.? But his story was shredded five years later when Senators Ron Wyden and Kit Bond forced loose an executive summary of the CIA?s own internal investigation of 9/11, which stated that ?some 50 to 60 individuals read one or more of the six Agency cables containing travel information related to these terrorists.? ?I believed, for the longest time, that this was one or two low-level desk officers who got this [information about Hazmi and Mihdhar] and somehow didn?t realize the significance,? he told them. But ?50?five oh?50 CIA officers knew this, and they included [Tenet and] all kinds of people who were regularly talking to me? Saying I?m pissed doesn?t begin to describe it.? All these years later, it?s still unclear why the CIA would keep such crucial details about Al-Qaeda movements from the FBI. Clarke and other insiders suspect that the spy agency had a deeply compartmented plan in the works to recruit Hazmi, Mihdhar and perhaps other Al-Qaeda operatives as double agents. If the FBI discovered they were in California, the theory goes, it would have demanded their arrest. When the CIA?s recruitment ploy fizzled, Tenet and company hid the details from Clarke lest they be accused of ?malfeasance and misfeasance,? he said. CIA Director Mike Pompeo and HRH Crown Prince Mohammed bin Nayef bin Abdulaziz Al Saud of Saudi Arabia - Picture by SPA. Friday, 10 February 2017, Riyadh, Kingdom of Saudi Arabia: HRH Crown Prince Mohammad bin Nayef bin Abdulaziz Al Saud, First Deputy Premier and Minister of Interior, was honored with the George Tenet Medal, issued by the Central Intelligence Agency (CIA) of the United . FEB. 11, 2017, 4:21 A.M. E.S.T. KHOBAR, Saudi Arabia ? Saudi Arabia?s relations with the United States are ?historic and strategic?, Crown Prince Mohammed bin Nayef said on the occasion of the visit of CIA director Mike Pompeo to Riyadh. This is the first reported visit by a senior Trump administration appointee to the kingdom. ?Our relationship with the United States is historic and strategic, any attempts to undermine that will falter,? Prince Mohammed said, according to state news agency SPA late on Friday. Prince Mohammed, who is also interior minister, said his country will continue to combat terrorism. In a recent phone call Saudi Arabia?s King Salman invited U.S President Donald Trump ?to lead a Middle East effort to defeat terrorism and to help build a new future, economically and socially,? for Saudi Arabia and the region. CIA honors Saudi crown prince with ?George Tenet Medal? naturally, when he sat down for his first on-the-record interview in more than eight years, Tenet tore into the failure of others to act on his warnings, from 1999 through the late summer of 2001, that Al-Qaeda was determined to strike targets in the United States. He could ?barely contain himself when talking about the unheeded warnings he says he gave the White House,? says Chris Whipple, executive producer and writer of The Spymasters: CIA in the Crosshairs, a surprisingly riveting documentary premiering November 28 on Showtime. Likewise, Tenet?s former deputy Cofer Black is still livid about those White House meetings more than 14 years ago. ?You know what pisses me off? When people call this an intelligence failure,? he says on the show, nearly jumping out of his seat. ?I mean, how is it that you could warn senior people so many times and nothing actually happened?? It was like ?The Twilight Zone,? he says. A group of five Mossad agents posing as Israeli tourists were caught red-handed by the FBI celebrating and congratulating themselves on the morning of the 9/11 attacks. ?They were like happy, you know ? They didn?t look shocked to me?. The subsequent FBI investigation discovered that Mossad knew about the September 11th attacks well in advance, and in the months following desperately tried to cover it up. The five Israelis claimed to be tourists temporarily employed by a local moving company, Urban Moving Systems (UMS), based in Weehawken, N.J. The owner of the business was also an Israeli, 31-year old Dominik Suter whom FBI agents briefly questioned, before Suter fled to Israel with his family. At that point, the FBI obtained a warrant and searched the UMS premises. They found evidence of Suter?s hasty departure, uneaten sandwiches, cell phones and half-full coffee cups, as well as stored furniture and the belongings of numerous customers who had been left hanging. FBI agents seized documents and at least fifteen computers. The FBI placed the five Israelis in a federal detention center, isolated them from one other, and began to interrogate them closely. The investigation was driven by numerous discrepancies in their accounts, and by the men?s strange behavior in the period before the second plane impact when everyone still assumed that the first crash was simply a tragic accident. Some of the Israelis were given as many as seven lie-detector tests in an effort to determine if they had advance knowledge of the 9/11 attacks. One, Paul Kurzburg, refused for weeks to take a lie-detection test, then agreed to take it, and promptly failed it. During interrogation, the Israelis reportedly explained why they were happy that morning. They said it was because ?the United States would now have to commit itself to fighting [Middle East] terrorism, that Americans would have an understanding and empathy for Israel?s circumstances, and that the attacks were ultimately a good thing for Israel.? As we know, Likud-leader Benjamin Netanyahu made a similar comment when asked about 9/11. ?It?s very good,? Netanyahu told the press, then back-tracked, ?Well, not very good, but it will generate immediate sympathy for Israel.? The FBI investigation took a serious turn when two of the men turned up in a US national intelligence database, indicating they were known Mossad agents. Mossad is the Israeli equivalent of the CIA. Also, two of the men (it is not clear if these were the same two) were found to be in possession of round-trip airline tickets. The two had arrived in the US from Tel Aviv via Athens on June 15, 2001, and were scheduled to return to Israel on September 12, 2001, the day after the attacks. Was the suspicious timing of their planned departure just a coincidence? In March 2002, an un-named high-ranking US intelligence official told The Forward, a venerable New York Jewish newspaper, that the FBI concluded at the end of its investigation that the Israelis arrested in New Jersey had been conducting a Mossad surveillance mission on September 11, and that their employer, Urban Moving Systems, served as a front. One might ask if the Globalist program is sufficiently derailed would they go for pushing the big red button ? Newly released documents from the early 1960?s show that the USA was prepared for a pre-emptive ?no warning? attack against communist Russia and China with civilian casualties the primary metric for success. As we approach the anniversary of 9/11, mainstream media and entertainment are pushing a domestic nuclear holocaust as likely. the anny is coming .... what they want you to forget how and when they took your liberty away .. But the White House never let it see an entire section of Congress 'investigative report on 9/11 dealing with 'specific sources of foreign support' for the 19 hijackers, 15 of whom were Saudi nationals. President Bush inexplicably censored 28 full pages of the 800-page report. Text isn't just blacked-out here and there in this critical-yet-missing middle section. The pages are completely blank, except for dotted lines where an estimated 7,200 words once stood (this story by comparison is about 1,000 words). A pair of lawmakers who recently read the redacted portion say they are 'absolutely shocked' at the level of foreign state involvement in the attacks. The Saudis deny any role in 9/11, but the CIA in one memo reportedly found 'incontrovertible evidence' that Saudi government officials '? not just wealthy Saudi hardliners, but high-level diplomats and intelligence officers employed by the kingdom '? helped the hijackers both financially and logistically. The intelligence files cited in the report directly implicate the Saudi embassy in Washington and consulate in Los Angeles in the attacks, making 9/11 not just an act of terrorism, but an act of war. Just days after Bush met with the Saudi ambassador in the White House, the FBI evacuated from the United States dozens of Saudi officials, as well as Osama bin Laden family members. Bandar made the request for escorts directly to FBI headquarters on Sept. 13, 2001 '? just hours after he met with the president. The two old family friends shared cigars on the Truman Balcony while discussing the attacks. Bill Doyle, who lost his son in the World Trade Center attacks and heads the Coalition of 9/11 Families, calls the suppression of Saudi evidence a 'coverup beyond belief.' Last week, he sent out an e-mail to relatives urging them to phone their representatives in Congress to support the resolution and read for themselves the censored 28 pages. Granted, it's not easy to do. It took a month long letter-writing campaign by Jones and Lynch to convince the House intelligence panel to give them access to the material. But it's critical they take the time to read it and pressure the White House to let all Americans read it. This isn't water under the bridge. The information is still relevant today. Pursuing leads further, getting to the bottom of the foreign support, could help head off another 9/11. One partially declassified document, marked 'secret,' lists three of those individuals and ties them to the Venice, Fla., flight school where suicide hijackers Mohamed Atta and Marwan al-Shehhi trained. Accomplice Ziad Jarrah took flying lessons at another school a block away. Atta and al-Shehhi were at the controls of the jetliners that slammed into the twin towers of New York's World Trade Center, killing nearly 3,000 people. Jarrah was the hijacker-pilot of United Airlines Flight 93, which crashed in a field in rural Pennsylvania. [The Co-Chair of the Congressional Inquiry into 9/11 and former Head of the Senate Intelligence Committee, Bob Graham] believes the Bush administration protected the Saudis during the 9/11 inquiry [and] wonders why the Obama administration hasn't reopened the investigation and sought answers. What Did I Breathe in on September 11? For more than five years after 9/11, a messenger bag coated with debris was sealed in a plastic trash bag. Then a scientist tested it and what he discovered will change the way you think about what people inhaled that day. Let's see. The South Tower was 1,362 feet tall and weighed five hundred thousand tons. It was hit by a Boeing 767 jet traveling at 590 miles per hour and filled with sixty-five people and ninety-one hundred gallons of fuel. The building burned uncontrollably at up to 1800 degrees Fahrenheit for sixty-two minutes. Then, all 110 floors--which were filled with 25,000 personal computers, 104 passenger elevators, 21,800 windows, 6,000 miles of electrical cables, 100 miles of heating ducts, who knows how many Bic pens and jokey coffee mugs, and the bodies of more than 600 people--fell a quarter mile straight down at 120 miles an hour, instantly aerating everything. As soon as Cahill's scalpel breaches the plastic womb encasing my messenger bag, the unmistakable smell brings back all sorts of memories I'd rather forget. Bodies cartwheeling to earth from impossible heights. The strange laugh I let out when I found myself irritated, even during the apocalypse, by those f**king car alarms as they echoed down the empty canyons of lower Manhattan. My trembling hands smearing antibiotic ointment on my scrapes. The ladies in the bank building with their pill bottles. Finally, Cahill e-mails me an incomprehensible line graph tracking nanograms in the dust sample, plus a written analysis of the bag peppered with scary chemical formulas like CaSO4 . 2H2O and CaO2 and SiO2. Then he calls me on the phone. "I just want to tell you personally what a service you've done everybody," he says. My heart races. I wonder why he's telling me this again, wondering if he's stalling, wondering why he doesn't just come out and f**king tell me the bad news already. And then: "Basically, you just got a big blast of drywall. Which is harmless." What says any of you about this story? Although it?s now public knowledge that former Florida Sen. Bob Graham told the Tampa Bay Times that the secret 28 pages of the 9/11 Commission report are poised to be released within the next few months, one can only question what the White House?s new and urgent motive for their release is. One thing comes to mind, right off the bat, and that is the fact that strong evidence exists suggesting that up to three thermonuclear devices were detonated at the World Trade Center site on 9/11, hence the nickname ?Ground Zero.? That?s right, when the not so secret 28 pages are actually released, in a few months, they will likely show Saudi involvement and government foreknowledge, like we already knew. So tell us something we didn?t know; like the fact that a Lawrence Livermore National Laboratory, Department of Energy, study found high trace levels of tritium inside the WTC complex after the attack. Not only were abnormal levels of tritium found inside the WTC complex, in the basement of ?WTC 6? and the ?storm sewer,? but they were also found in the water. ... I am not saying that micro nukes were solely responsible for bringing down the towers ? and IMO were likely only used at the base of Towers 1 and 2 and possible the base of building 7 and were strategically placed 50 feet below street level, somewhere in the basements of the buildings or subway access tunnels. This would also explain numerous eyewitness reports of ?large? explosions in the basement or ?lobby? of the towers. It has also been proven that Nano-thermite was used and was present in dust samples, less than 2 microns in diameter, that were taken from the WTC site after the Sept. 11, 2001 attacks as pointed out early on by Richard Gage of the grassroots organization Architects & Engineers for 9/11 Truth. Moreover there are also signs that advanced barometric bomb technology, which uses triggering devices derived from the U.S. Nuclear Weapons Program, was also deployed in the attack ? technology which incorporates gaseous elements in a ?yellowish, brownish combustible mixture? and uses Aluminum Silicate Red Oxide and other ingredients? that would have surrounded and permeated the air around key structural columns on all floors before being triggered by a ?specific high-voltage pattern? which the element combination is responsive to. So if you?ve got this cloud permeating all the way around the first floor, wherever it is, anything within its path gets crushed, imploded, to dust instantaneously. And when that happens of course there is nothing left to hold up the upper floors above, so bang, they come down like a pancake.? The fact that many of the first responders are now dead, if not very sick, does not sound like the byproduct of a falling building, but rather sounds more like they got a massive dose of deadly radiation. Most of the responders have died of blood cancer and Thyroid cancer, consistent with heavy radiation exposure. Additionally the fact that the WTC buildings were pulverized into a fine dust cannot be ignored. This is a tell-tale sign of a high energy release typical of a nuclear explosion. Eyewitness accounts and personal testimony indicate that people were thrown an entire city block from what was described as a warm wind just as the towers begin to collapse. There were also multiple reports of ?hanging skin? or ?melted skin? on victims around ground zero. This was a common occurrence in the Hiroshima blast. ... , many independent investigations have actually been conducted, including one by the Architects and Engineers for 9/11 Truth. The group, composed of over a thousand credentialed architects and engineers, is determined to find out just what caused the buildings in the World Trade Center complex to collapse at near free-fall speeds back in 2001. While the group?s spokesman Richard Gage, who I have interviewed several times, maintains that nano-thermite was used to bring down the towers. Which very well may be true, however there may have been other weapons used in conduction with the nano-thermite to knockout the main cores of the buildings in order to achieve the intended effect, minimizing collateral damage in the neighborhood. ... the actual impact from the alleged passenger planes did not cause the collapse of the WTC?s towers 1 and 2 that stood proud above the New York skyline, nor did the jet fuel or fires throughout the buildings. In fact, we can clearly see that this was not the case, because the tops of the buildings actually started to collapse first, dustifying themselves in mid-air as reported by Dr. Judy Wood who conducted an independent investigation. However, interestingly enough, it?s also a fact that micro-nukes exist, and have since the 1950′s, opening an entirely new can of worms for some researchers. In fact, seismic readings from that day even indicate that at least 3 large man-made explosions, possibly nuclear by signature, took place underground the WTC complex. Could these be the actual blast that took out the cores of buildings 1, 2 and 7 in the WTC complex? Is this what the U.S. government has been hiding all along? Interestingly, previous tests have been conducted by factions of the U.S. government in which they used micro-nukes to demolish rather large buildings. The results were astonishing to say the least, almost a perfect mirror of the collapse of buildings 1, 2, and 7 that took place in Sept. of 2001. Amazing how it took 17 years and 180 million dollars to restore a subway station at "Ground Zero"
Suson plans to release at some point rare, unseen video footage from his explorations of the PATH subway trains and tunnels far below Ground Zero from the Winter of 2001-2. 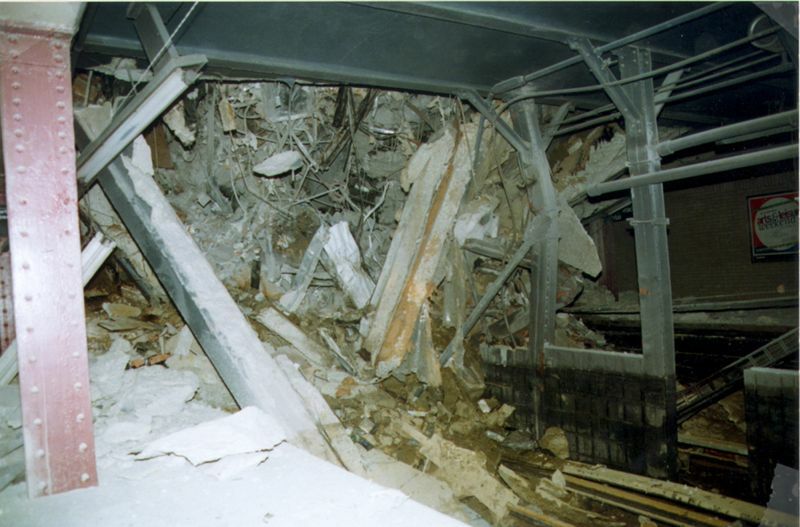 "It is creepy footage; the subway below WTC was the most dangerous place to be at Ground Zero." Suson found & photographed the "GHOST TRAIN" at Ground Zero, the last subway train to pull into the World Trade Center stop and let passengers off before the towers collapsed on 9/11. One night at 3 A.M. in the pitch black, mangled tunnels Suson got lost for hours and shot video of himself trying to find his way out. "Looking back, I was crazy to be down there. It could collapse at any time and the freon vapors & chemicals were higher down there. It was toxic." Gary Marlon Suson no longer shoots photography and is spending most his time these days on his WTC-related health issues, including COPD (Asthma), Chronic Fatigue (CFS Syndrome) and PTSD. "It's a full-time job," says Suson. He has a small staff who run the daily operations at Ground Zero Museum Workshop, which was just included in Trip Advisor's coveted "Top 25 Museums in the USA" list as well as USA TODAY'S "10 BEST" list of NYC attractions, making it to #5. Suson is currently in talks with major Las Vegas casinos to produce a massive, permanent West Coast 9/11 Museum. A New York City subway station has finally reopened, 17 years after being shuttered when terrorists destroyed the World Trade Center in the 9/11 terror attack. The Cortlandt Street station on the No. 1 line ran under the World Trade Center. The new stop, which was opened Saturday, will now be known as WTC Cortlandt in honor of the site, according to reports. The station took so long to reopen because the Port Authority kept it shuttered while it was busy working on the rest of the reconstruction of the World Trade Center complex, the New York Post reported. The station cost $181.8 million and features a mosaic by artist Ann Hamilton including text from the 1776 Declaration of Independence, The New York Times reported. For property and casualty insurers and reinsurers, the impact of the 9/11 terrorist attacks was enormous, producing insured losses over $43 billion in 2015 dollars. During recovery from the World Trade Center wreckage, Car 745 is swung over Car 143 by crane. One of two subway cars that survived the collapse of the World Trade Center in the 2001 attacks will soon be open to the public. Car 745 will welcome visitors aboard for the first time in 15 years at its permanent home in East Haven, Connecticut. The Shoreline Trolley Museum acquired the car a year ago and built a special display that will be dedicated on the September 11th anniversary. On a normal weekday in New York City people by the thousands arrive at the Port Authority Trans-Hudson -- or PATH World Trade Center station. For PATH car 745 September 11, 2001 started like any Tuesday morning -- loaded with passengers, from New Jersey. At around 8:52 am it pulled into the World Trade Center Station for the last time. Within three hours it would be buried beneath hundreds and thousands of tons of debris. "It left at 8:42 outta Hoboken in the morning. The first station was Pavonia-Newport," he said. It was still being called Pavonia-Newport back then. When it left Pavonia-Newport is when the buildings got hit. So, midway in this train?s trip, it left in peacetime and ended up in a war zone." After the planes hit, before the buildings came down, and before anyone understood what was happening, the Port Authority suspended all train service into New York. 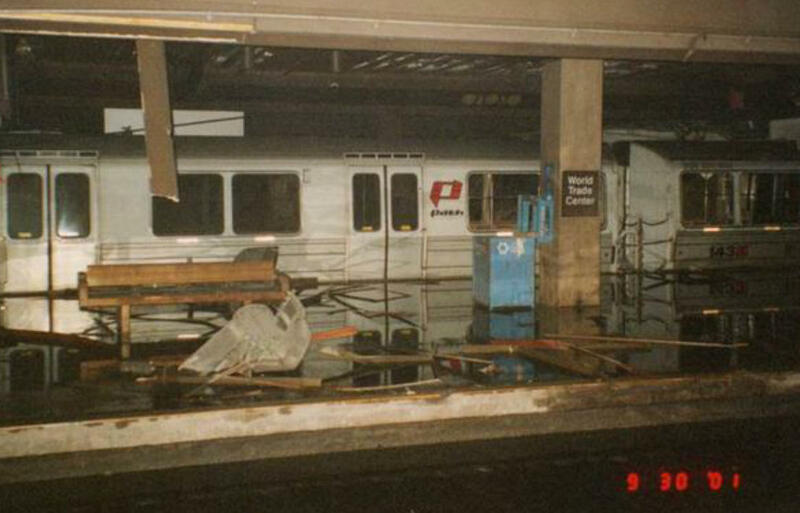 In fact another PATH train from New Jersey was en route, but the crew was instructed to turn around when they reached the World Trade Center Station and take all passengers back. "So rather than have an additional 2,000 people dropped off in a potential deadly area they got ?em back out of there," said Bill Wall who works for the New York City Transit Authority. "And then they had another train in New Jersey, they got all the passengers off of that and they sent the train, with the crew, into the Trade Center, which at that point everybody was getting out of, to do what we call sweep the platform. Anybody who was there, they had one last chance to get out," said Wall. "And shortly after that the buildings came down." As a result there was no loss of life on the PATH trains or in the World Trade Center Station that day. But an empty seven-car train that included subway car 745 was left behind. "It was a train that was in the terminal that they just finished using and normally would leave it there during the day to wait for the afternoon rush hour to start," said Wall. "And it was already in place and that?s the reason that train was there." Car 745 at the World Trade Center Station on September 30, 2001. Flooding occurred from water main breaks and efforts to put out fire. The orange paint marks on the side of the car indicate that the area had been searched. 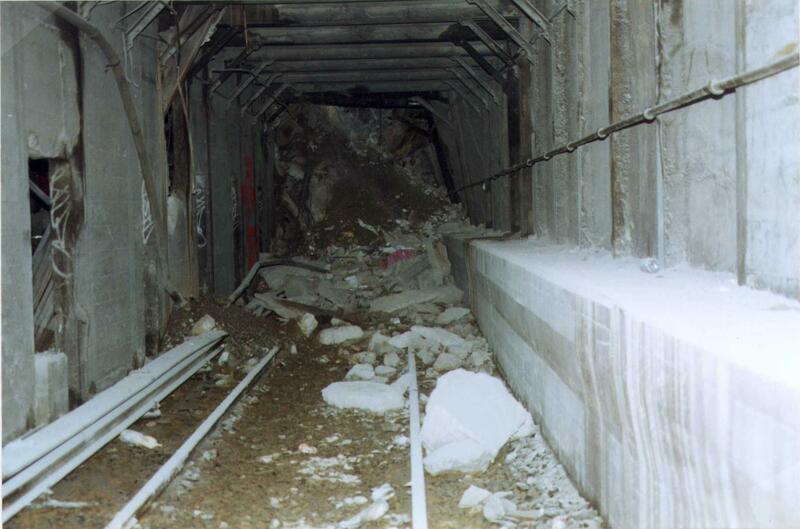 The train was discovered during a search of the site. Five of the cars were obliterated, a sixth car suffered minor damage, and a seventh was undamaged. That was the lead car -- car 745. 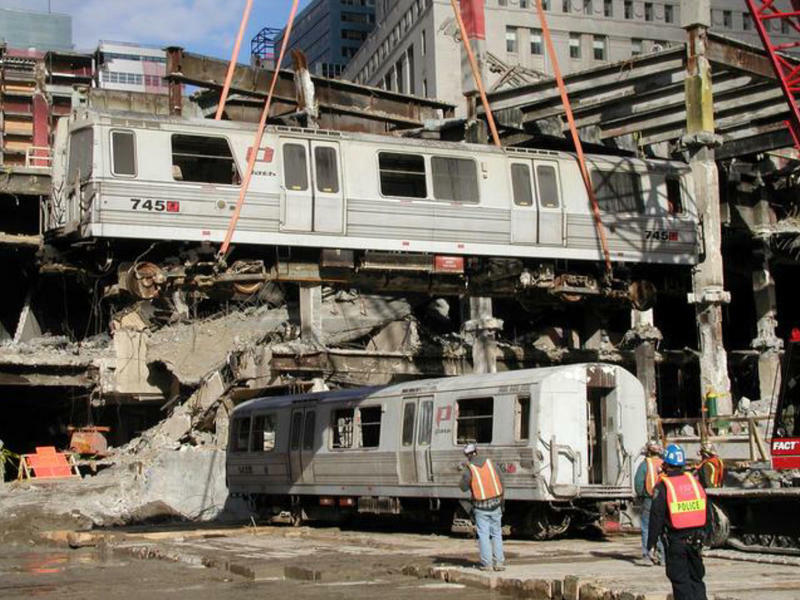 The surviving two PATH cars were taken to Kennedy International Airport, where they were stored in a Hangar with other artifacts held for a future 9/11 memorial museum. That, said Wall, is where they stayed for nearly 14 years, but did not make it into the museum. As the world marks the seventeenth anniversary of 9/11, legislators have introduced resolutions in both the House and Senate urging the broad declassification of U.S. government documents relating to the attacks that killed nearly 3,000 people. As with the successful drive to declassify 28 pages on Saudi government links to the 9/11 attacks, this latest effort has support on both sides of the aisle. At a press conference announcing the Senate effort, Senator Richard Blumenthal, flanked by 9/11 families, said, ?This is a nonpartisan issue. Forget about if you?re a Republican, if you?re a Democrat, if you?re independent?this is a humanity issue. These are human beings that got savagely murdered on September 11 and there should be no partisan politics involved in this at all.? Among others joining the Connecticut Democrat on the Senate resolution are two senior Republicans: majority whip John Cornyn of Texas and Chuck Grassley of Iowa. The continued classification 9/11 documents is a headwind for a civil suit by victims of the attacks seeking to prove that Saudi government officials provided financial and other assistance to hijackers and others closely associated with them. The only thing I think it would hurt is maybe past administrations? ?maybe even the current administration?s?reputation, with respect to giving Saudi Arabia a pass.? The authors of a new explosive book on 9/11 have revealed a US government-wide cover-up of Saudi complicity in the September 11, 2001 terrorist attacks, claiming that the CIA and Saudi Arabia conspired to keep 9/11 details secret. In The Watchdogs Didn?t Bark: The CIA, NSA, and the Crimes of the War on Terror, John Duffy and Ray Nowosielski dismissed the official story that 9/11 was merely ?a failure to connect the dots.? They wrote several accounts from former US intelligence officials who revealed how American agencies ignored intelligence on Saudis. The Watchdogs Didn?t Bark: The CIA, NSA, and the Crimes of the War on Terror, John Duffy and Ray Nowosielski dismissed the official story that 9/11 was merely ?a failure to connect the dots.? They wrote several accounts from former US intelligence officials who revealed how American agencies ignored intelligence on Saudis. In their book, Duffy and Nowosielski have presented an update on what?s been learned about Saudi support for Al-Qaeda in recent years. US investigations have revealed that officials from the Saudi Kingdom?s Islamic affairs ministry helped the hijackers get settled in California. ?Saudi intelligence has admitted that they knew who these two guys were,? said Andrew Maloney, an attorney for families of the 9/11 attack victims who filed suit against the Saudi government in federal court in New York last year. ?They knew they were Al-Qaeda the day they arrived in Los Angeles. So any notion from the Saudi government saying, ?Oh, we just help out all Saudis here? is false. They knew. And the CIA knew.? ... many experts have raised questions about the official account. Dr. Kevin Barrett, a founding member of the Scientific Panel for the Investigation of 9/11, has said that 15 of the 9/11 ?hijackers? from Saudi Arabia were actually CIA agents working for the United States government. Barrett, an American academic who has been studying the events of 9/11 since late 2003, has also said that the CIA is afraid of any serious investigation into the attacks because it would expose the role Israeli and American intelligence played in the 9/11 coup d??tat. The National Commission on Terrorist Attacks Upon the United States, known as the 9/11 Commission, was an independent, bipartisan commission created by Congress. The Commission's mandate was to provide a "full and complete accounting" of the attacks of September 11, 2001 and to provide recommendations as to how to prevent such attacks in the future. The Commission, existing from 2003 - 2004, held hearings, conducted interviews, and produced a report. When the 9/11 Commission closed on August 21, 2004, it transferred legal custody of its records to the National Archives and Records Administration (NARA). The Commission encouraged the release of its records to the fullest extent possible in January 2009. Because the Commission was part of the legislative branch its records are not subject to the Freedom of Information Act (FOIA). There is approximately 570 cubic feet of textual records. A large percentage of the Commission's records are national security classified files. The unreleased portion of the records are processed as documents are requested. NARA maintains a list of documents released since the records were opened in 2009. The Nayirah testimony was a false testimony given before the Congressional Human Rights Caucus on October 10, 1990 by a 15-year-old girl who provided only her first name, Nayirah. The testimony was widely publicized, and was cited numerous times by United States senators and President George H. W. Bush in their rationale to back Kuwait in the Gulf War. In 1992, it was revealed that Nayirah's last name was al-Ṣabaḥ (Arabic: نيرة الصباح‎) and that she was the daughter of Saud Al-Sabah, the Kuwaiti ambassador to the United States. Furthermore, it was revealed that her testimony was organized as part of the Citizens for a Free Kuwait public relations campaign which was run by an American public relations firm Hill & Knowlton for the Kuwaiti government. Following this, al-Sabah's testimony has come to be regarded as a classic example of modern atrocity propaganda. Her story was initially corroborated by Amnesty International and testimony from evacuees. Following the liberation of Kuwait, reporters were given access to the country. An ABC report found that "patients, including premature babies, did die, when many of Kuwait's nurses and doctors... fled" but Iraqi troops "almost certainly had not stolen hospital incubators and left hundreds of Kuwaiti babies to die." Amnesty International reacted by issuing a correction, with executive director John Healey subsequently accusing the Bush administration of "opportunistic manipulation of the international human rights movement". As investigators continued searching Wednesday for causes of the worst rail accident in the city?s history, family and friends of the victims tried to deal with their losses. One of those friends was Representative Eleanor Holmes Norton, who knew of the Air Force, who headed the District of Columbia ?Maj. Gen. David F. Wherley Jr.s National Guard unit until his retirement a year ago. She commented on how he had faced dangers around the world, only to die on a mundane train ride. ?General Wherley was accustomed to risking his life for his country as commander of two flying squads,? Ms. Norton, the district?s delegate to Congress, said, ?but he found his rest yesterday in the hometown he grew to love and adopted as his own.? She said that it was on his order that jets scrambled over Washington on Sept. 11, 2001. General Wherley?s wife, Ann, 62, a mortgage banker, was also killed in the crash. After buying a condominium on Capitol Hill, the couple involved themselves in the civic life of their community, Ms. Norton said. The general recently had heart surgery for a valve problem but was recovering and was planning a trip to Europe in October, she said. ... Wherley, a command pilot who logged more than 5,000 hours in military aircraft, gave the order to scramble planes over Washington on Sept. 11, 2001. The day of the terrorist attacks, her husband was commander of the 113th Wing at Andrews Air Force Base. He detailed the harrowing minutes of tough decision making in a Washington Post interview in 2002. Wherley said the moment he knew the attacks would go beyond New York was when one of his officers, whose husband worked at the Pentagon, saw on television that the second tower of the World Trade Center had been hit and began shrieking. "You've got to be strong," Wherley told the officer before racing out of the building and running several hundred yards to squadron headquarters. There, officers wanted to head to the skies right away, but Wherley was measured. "We have to get some instructions," Wherley told squadron officers. "We can't just fly off half-cocked." Notice that this happened after Obama met with the families of 9/11. Obama's Justice Department has sided with the Saudi's AGAINST the 9/11 families so they will not have there day in court. Beverly Eckert, the widow of Sean Rooney, who died in the Sept. 11 attacks, died in the plane crash near Buffalo. On Thursday night, Ms. Eckert, 57, was aboard Continental Flight 3407 when it crashed near Buffalo, killing all 49 people on board and one person on the ground. Ms. Eckert, who lived in Stamford, Conn., was traveling to her hometown in western New York to help celebrate what would have been her husbandâ€™s 58th birthday. Mr. Rooney lived in Buffalo until 1978, managing several restaurants in the area before starting work in the financial services industry and living in Massachusetts, New Jersey and Connecticut, according to a 2001 article in The Buffalo News. The couple had recently celebrated turning 50 together with vacations to Vermont, to mark his birthday, and Morocco, to mark hers, when the terror attack occurred. Mr. Rooney was one of 32 Aon employees who were at work on the 98th floor of the trade centerâ€™s south tower. When the north tower was hit at 8:46 a.m., Mr. Rooney saw the devastation and called his wife at her job in Connecticut, but she had not yet arrived, according to â€œ102 Minutes: The Untold Story of the Fight to Survive Inside the Twin Towersâ€� (Times Books, 2005), by Jim Dwyer and Kevin Flynn of The Times. Hey, Beverly, this is Sean, in case you get this message. There has been an explosion in World Trade One â€” thatâ€™s the other building. It looks like a plane struck it. Itâ€™s on fire at about the 90th floor. And itâ€™s, itâ€™s â€” itâ€™s horrible. Bye. A couple of minutes later, he left her a second voice-mail message to say that he was O.K. In the background was a public-address announcement telling occupants they could evacuate. By then, he was on the 105th floor, on the north side of the south tower. While she listened, Ms. Eckert dialed 911 on another line; the operator said emergency crews were on their way. In fact, only one of three stairways in the south tower â€” Stairway A â€” was unobstructed. Mr. Rooney never made it to that stairway. After her husbandâ€™s death, Ms. Eckert was a co-chairwoman of the 9/11 Family Steering Committee, a group of victimsâ€™ relatives who were committed to looking into the government failures that led up to the attacks. Ms. Eckert supported the work of the 9/11 Commission, and, after its recommendations were released, she urged Congress to adopt their findings. â€œShe was such an important part of all of our work,â€� said Mary Fetchet, another 9/11 family advocate, according to The Associated Press, which reported that Ms. Fetchet learned Ms. Eckert was aboard the plane that crashed near Buffalo from another close Eckert family friend, who was also going to Buffalo. Officials investigating the crash have not yet confirmed that the friend was also on board the plane, The A.P. reported. Representative Carolyn B. Maloney, a New York Democrat who worked closely with Ms. Eckert, said she was â€œheartbrokenâ€� at the news. â€œBeverly turned her grief at the loss of her husband into action that helped make our country a safer place, and for that all Americans owe her a debt of gratitude,â€� Ms. Maloney said in a statement. About five or six years ago, she met a man, Shawn Monks, during a trip to Block Island, R.I., according to Annalisa DiNucci, 50, Ms. Eckertâ€™s next-door neighbor and friend. Mr. Monks, who was originally from Garrison, N.Y., lived with Ms. Eckert at her house on Brooklawn Avenue in Stamford. Ms. Eckert became a volunteer at Habitat for Humanity and at the Julia A. Stark Elementary School in Stamford, and also enjoyed theater, sailing and kayaking, Ms. DiNucci said. Ms. DiNucci said her husband, John, was close to Ms. Eckert, her late husband, and her current partner. Ms. Eckert worked at General Re before 9/11. â€œI think she tried to go back to work after 9/11, but she got so involved in the advocacy groups of victimsâ€™ families that it became too time consuming for her to work,â€� Ms. DiNucci said. Ms. DiNucci said Ms. Eckertâ€™s top concerns were transparency in the investigations into 9/11, the improvement of building codes and emergency communications, and her desire to see Khalid Shaikh Mohammed, who is believed to be the mastermind of the attacks and is in United States custody, put on trial. Another neighbor, John Verderame, 45, said he had known Ms. Eckert and Mr. Rooney since 1993. Beverly was not just a constituent of mine, she was a friend and neighbor. From my home, I daily see the one she shared with Sean. While many knew Beverly as a passionate advocate for the families of 9/11 survivors in both Hartford and Washington, we in the Glenbrook section of Stamford knew her as a kind and wonderful neighbor. She will be dearly missed by all of us who admired her so much. Angela Macropoulos contributed reporting from Stamford, Conn.
Mr. Obama met for more than an hour with about 40 relatives of terror victims during an emotional afternoon session in the Eisenhower Executive Office Building near the White House. He explained his rationale for ordering the detention center at Guantanamo Bay, Cuba, to be closed within a year, but pledged that the terror cases would be reviewed and handled through the courts. The president spoke for about 10 minutes before taking about 16 questions and talking individually with the participants, many of whom brought pictures of their loved ones who were killed in the attacks. The meeting was closed, but participants described it as an intense, but civil session with little contention. While some of the family members have disagreed openly with the presidentâ€™s decision to close the prison at Guantanamo Bay, there was no hostility at the meeting, according to participants and White House officials who attended. John Clodfelter of Mechanicsville, Va., whose son, Kenneth, was killed in the Cole bombing, said he came to the meeting with apprehension over the decision to close the prison and the delay in prosecutions. But after listening to the president and being assured that the terror suspects would not be released, Mr. Clodfelter said his opinion changed. The president and his advisers are reviewing the cases, aides said, to ensure that the 245 suspects at Guantanamo Bay are afforded their legal rights. The review will determine whether the terror suspects will be and tried in U.S. courts or dispatched to other countries for prosecution. Retired Cmdr. Kirk Lippold, who represents victims of the Cole and was the commanding officer of the vessel at the time of the attack in 2000, has disagreed with the decision to close the prison. But in an interview after the meeting, he said he was very pleased with the presidentâ€™s explanation and commitment to bringing the suspects to justice. The $7.3 billion 9/11 Victims? Compensation Fund is not set to expire until 2020 but may run out of money even sooner, as survivors continue to battle long-term illness. Special Master of the fund Rupa Bhattacharyya told New York?s PIX11 News that they have paid out approximately $4 billion to the survivors of the tragic terrorist attack of September 11, 2001. While over $3 billion remains, more and more of the survivors are becoming sick by the day. Uniformed Fire Officers Association President Jake Lemonda said more than 1,000 firefighters have been diagnosed with both cancer and other illnesses related to 9/11, and that 182 have already died. 9/11 responder with cancer: "They died and we?re dying"
Among the nearly 75,000 responders and survivors health officials are monitoring, they?ve certified more than 5,400 patients with 9/11-related cancers. According to Dr. Crane, that number continues to rise. ?Here at Sinai, we see 10 to 15 new cancer patients in our population every week,? Crane said. ?Ten to 15 cases of first responders?? Axelrod asked. ?Per week,? Crane stressed. ?Each week. I?ve been in medicine for 40 odd years. It?s remarkable.? Responders who died from illnesses after the attacks aren?t among those listed at the National September 11 Memorial, but a former ground zero construction worker is keeping track at his own memorial 45 miles away. ?We?re 15 years removed from 9/11. We are out of sight, out of mind,? said John Feal, founder of the FealGood Foundation. Feal adds new names every year to his wall on Long Island.